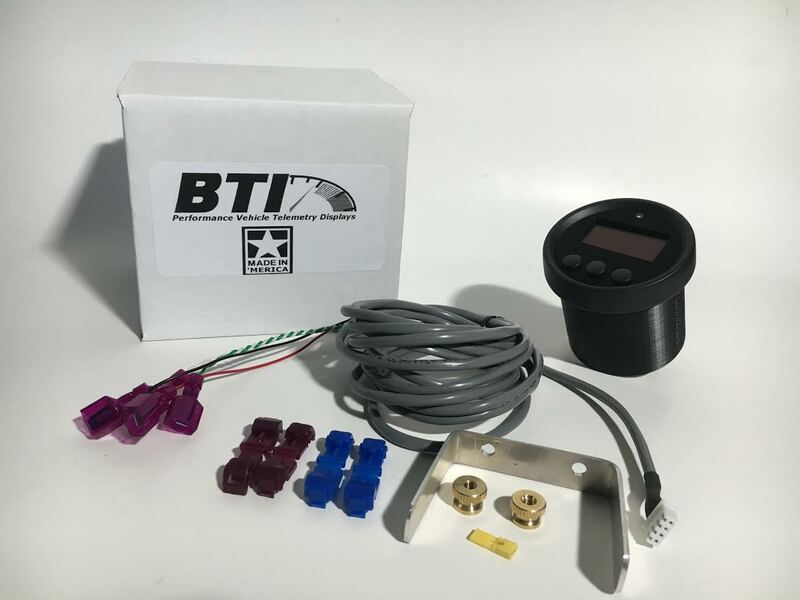 The BTI ECU Master integration gauge has 12 programmable screens that are capable of displaying more than 25 parameters, sensor functionality, EGT, and knock warning. Not only do you have the ability to see many parameters on one gauge, but this also means that you don not have to purchase and wire in a bunch of additional sensors. 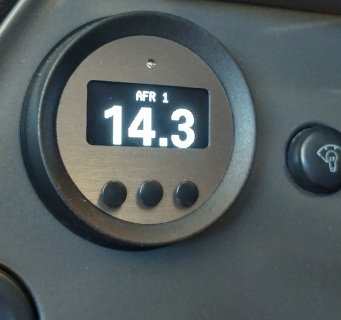 This gauge includes an orange shift light that is programmable by gear. User re-settable peak hold on Manifold Air Pressure, Fuel Pressure, Oil Pressure, Oil Temperature, Intake Air Temperature, Coolant Temprature, Engine Speed, Vehicle Speed, Injector Pulse Width, and Injector Duty Cycle. Note that some ECU Master ECUs require an additional module to add CAN communications. If you own an ECU Master and are interested in vehicle telemetry view-able in a small package, then this gauge is for you. 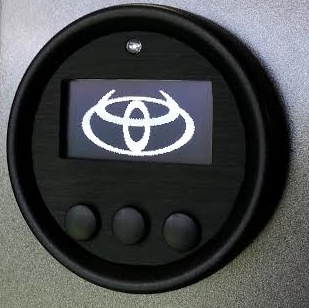 This Gauge has 12 programmable screens that are capable of displaying more than 25 parameters, sensor functionality, EGT, and knock warning. Not only do you have the ability to see many parameters on one gauge, but this also means that you don not have to purchase and wire in a bunch of additional sensors.